The Ancient and Scottish Rite is one of two "next steps" for Master Masons who desire more light within the Order of Freemasonry. In actuality, there are two branches of Freemasonry where this light can be received. The first branch, called the York Rite, consists of several degrees ending with Knights Templarism. The second branch, called the Scottish Rite, consists of 29 degrees ranging from the 4° through the 33° (Degree Structure). Each degree provides a greater insight into the first three degrees of the Symbolic or "Blue" Lodge. The Scottish Rite is so situated that as a Master Mason proceeds through the Scottish Rite Degrees, the greater mysteries of the Symbolic degrees will be revealed, thus promoting a better kinship with humanity and GOD. These lessons of the Scottish Rite are taught through a series of plays that reflect the allegory of the degree. Each lesson is based on characters or events from Biblical text or ancient history. Although thought to be of Scottish ancestry, the Scottish Rite was actually conceived in France during the 18th century. Masons from Scotland fled to France when their homeland became politically unstable. Early French documents referred to these Masons as "Ecossais" meaning Scottish. It is thought that these Scottish masons formed a series of twenty-five degrees. These degrees eventually came to the United States. 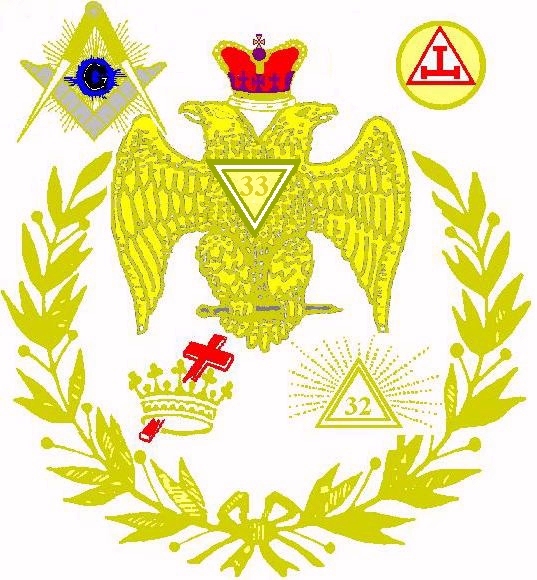 The first Supreme Council consisting of thirty-three degrees was formed in 1801 in Charlston, South Carolina. From that point on, Supreme Councils of the Ancient and Accepted Scottish Rite have been founded in many countries all over the world.